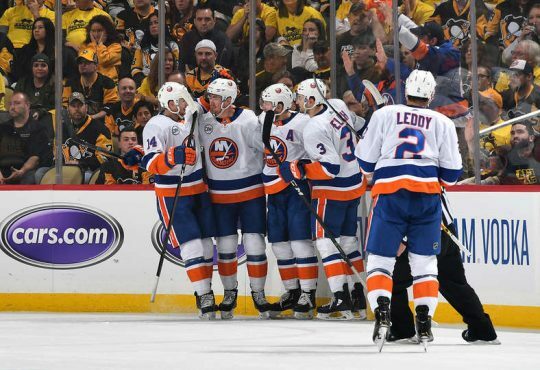 Outside of a few recent offensive outbursts last week, the Islanders still find themselves struggling to score goals. This is one of those circumstances where the obvious answer is the right one. 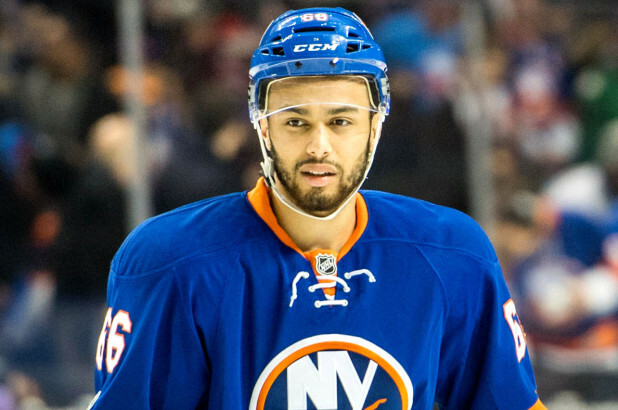 The Isles must use their final callup on Josh Ho-Sang. While he is not the savior that many expect him to be, he would give coach Trotz more options. The injury to Filppula has changed the dynamic of this team and has opened up a spot in the lineup. Frankly, Tom Kuhnhackl has not filled that role. A line of Kuhnhackl, Komarov and whichever winger is struggling the most, is not a line that is going to bring any benefit to this team. One of the strengths of this team was how they were able to roll four lines, this is no longer the case. Every night (except one) since the Filppula injury, whether it was Fritz or Kuhnhackl, they have had the lowest ice time on the team. Many of those nights it has been by 2 minutes. To take it a step further, since Kuhnhackl, Komarov and Beauvillier have been together as a line, they collectively have had the shortest amount of ice time. They are not part of the four line attack this team has had earlier in the season. This is a makeshift line of the tenth, eleventh, and twelfth best forwards currently on the roster and nothing else. 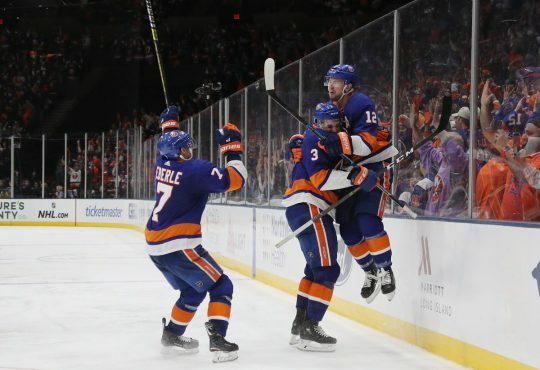 Adding Josh Ho-Sang gives Coach Trotz a weapon he can use offensively, whether it is with Beauvillier and Komarov or with another line at certain points throughout the game. 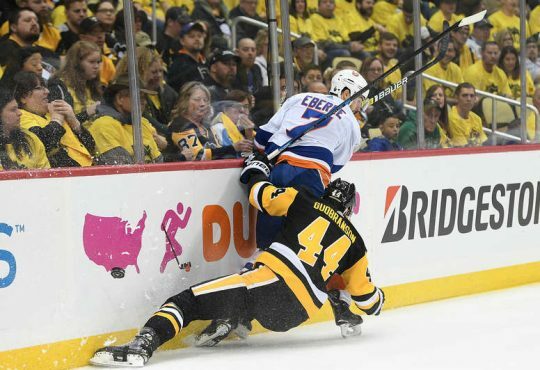 We have reached the point in the season where the “steady” hand of Kuhnhackl needs to be replaced with someone who can make an impact on the game. 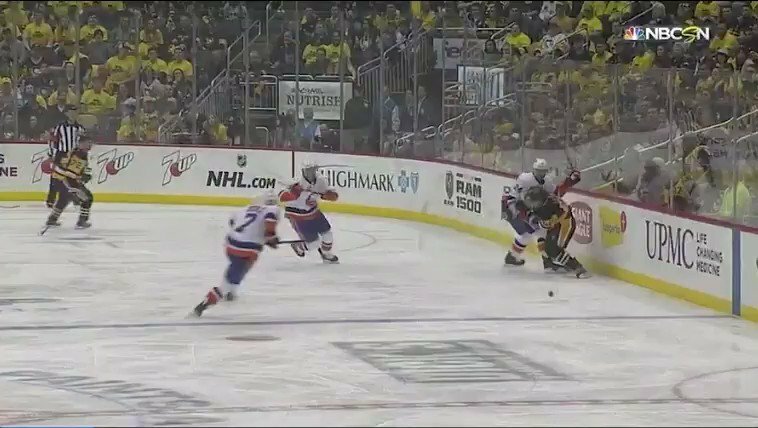 The argument for keeping Kuhnhackl in the lineup is his ability to kill penalties. With that being said, he is still behind, Cizikas, Clutterbuck and Komarov at a minimum on the depth chart. By this time of year the remaining veterans on the team need to be able to take that spot with Komarov on the second penalty kill unit. As the playoffs approach, benches get shorter. It will become more difficult to roll four lines for an entire playoff game. Adding a fourth line of spare parts, will allow the load to be lightened by all 12 guys even if they are not playing the traditional four line set up, we are used too. There is a reason why coaching hockey is more complicated then setting four lines like we do in the latest NHL video game. 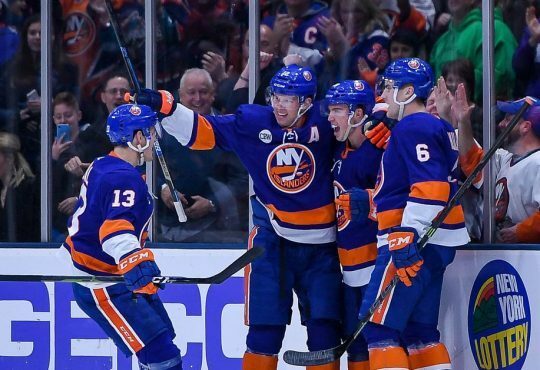 The Isles actually have a coach that understands how to perform this juggling act, and its time to give him the options to make this his greatest act.